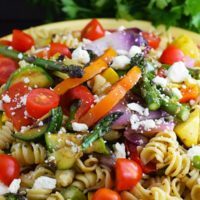 Grilled Summer Vegetable Pasta Salad is a mixture of delicious pasta mixed with the cream of the summer crops veggies. 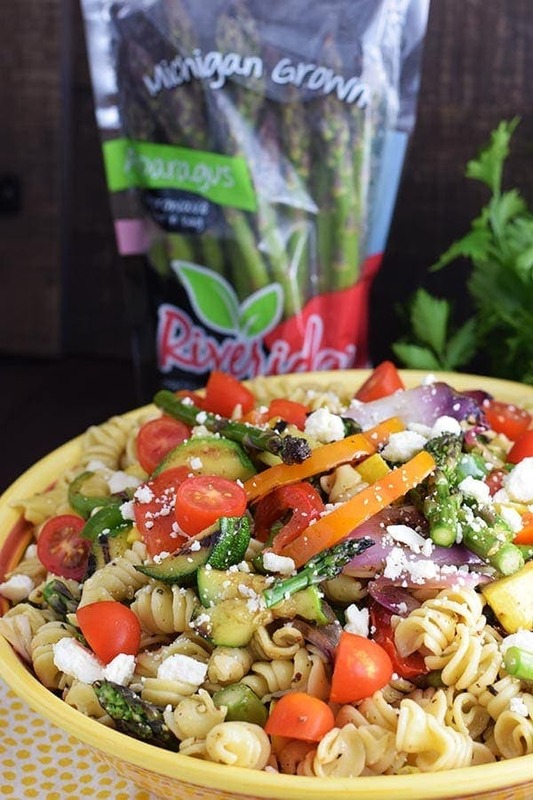 These crisp grilled vegetables along with rotini pasta are tossed in a light dressing and loaded with beautiful color and flavor. *This post is sponsored in conjunction with #BBQWeek. I received product samples from sponsors to use in creating #BBQWeek recipes. However, all opinions are mine alone. This time of year so many fresh vegetable are in our grocery stores and local markets. They are so delicious, affordable, and healthy to eat. I love to use them in salads, pasta, and as side dishes. 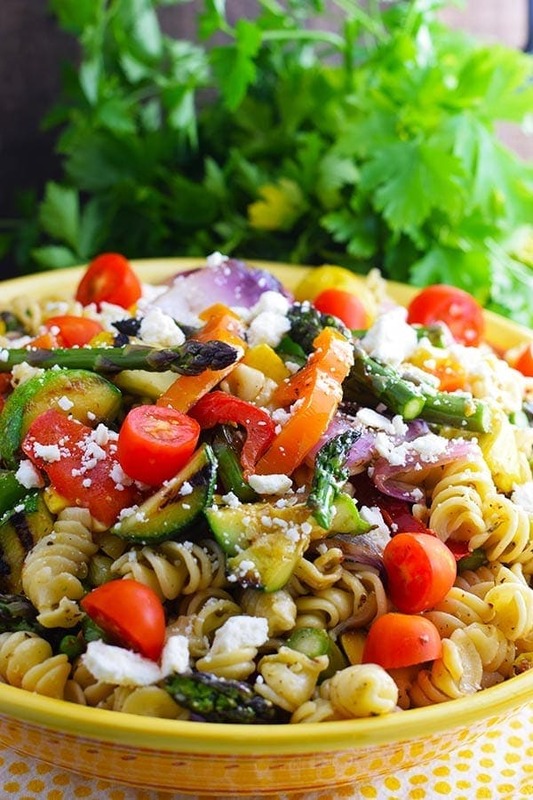 This pasta salad has an assortment of garden fresh veggies, that will sure be a hit on your spring and summer table. I don’t know about you but I love all these vegetables. The summer yellow squash, zucchini, all the color of bell pepper (I used red, yellow, orange, and green) red onion, corn, and asparagus. Michigan Asparagus sent me 4 beautiful bundles of gorgeous asparagus. Y’all make your way to the stores and look for it while it is in season now. There truly is a big difference in taste. Delish! I cheated just a bit on the bell peppers, my grocery store has them already sliced in big rings which were perfect for this dish. You can also purchase sliced zucs and squash too. Really just about anything, your produce section will be glad to assist, if you are short on time. If using an outdoor grill, I like to grill mine cut lengthwise and in half. Today was a bit rainy so I opted for the indoor grill pan. This is what is nice about this dish, you can use either. 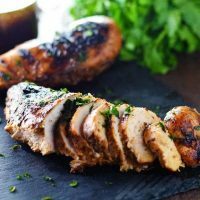 The grill does add an amazing smokey flavor, so if you can use it I recommend it. Step 1: Cook pasta according to package instructions in salted water. Drain and let cool while cooking. Step 2: Mix dressing ingredients together in a measuring bowl. Step 3: Slice squash and onion into halves or large slices. Slice bell pepper into thick ringed slices. Leave corn and asparagus whole. Brush on or drizzle with olive oil and sprinkle with salt to taste. Step 4: Set outdoor grill to high heat or cast iron grill over medium high heat. Grill until al dente or desired doneness. Remove and slice into bite sized chunks. Run knife down corn to remove kernels. Step 5: In a large bowl toss pasta, vegetables, and dressing together. Step 6: Top with feta cheese and tomatoes. Serve immediately warm or cover and refrigerate until serving. 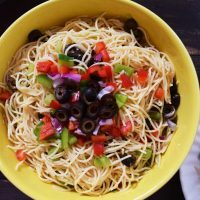 This pasta salad is the perfect side for a cookout, picnic and is really hearty enough for a meatless main dish. It’s all the summer’s bounty of veggies served up in one bowl. Light up those grills and get ready for something delicious for all those holidays by the pool or pack this in your picnic basket for a day in the sun with family and friends! Cook pasta according to package instructions in salted water. Drain and let cool while cooking. Mix dressing ingredients together in a measuring bowl. Slice squash and onion into halves or large slices. Slice bell pepper into thick ringed slices. Leave corn and asparagus whole. Brush on or drizzle with olive oil and sprinkle with salt to taste. Set outdoor grill to high heat or cast iron grill over medium high heat. Grill until al dente or desired doneness. Remove and slice into bite sized chunks. Run knife down corn to remove kernels. 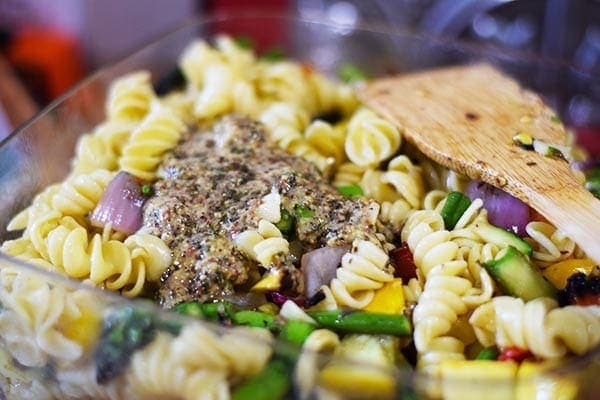 In a large bowl toss pasta, vegetables, and dressing together. Top with feta cheese and tomatoes. As it sits in the refrigerator the flavors intensify. I typically make this the morning I am serving and let it sit in the refrigeration for a few hours to overnight. Make sure to visit Michigan Asparagus for more information and recipes! 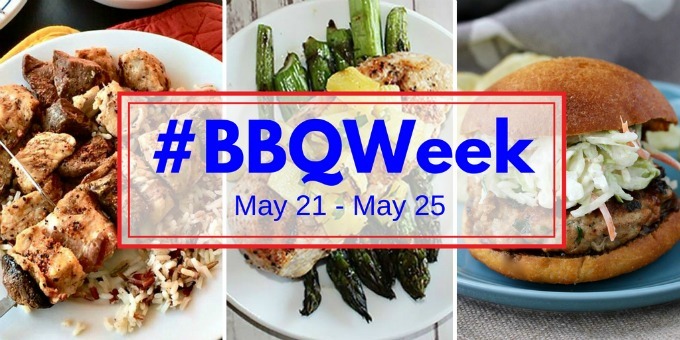 Welcome to #BBQWEEK! This week you’ll enjoy more than 70 recipes from more than 20 bloggers. Thank you to Michigan Asparagus for providing bloggers with freshly harvested asparagus, to Adams Extract & Spice for wonderful rubs and spices for grilling and Not Ketchup for bloggers choice of sauce. **Disclaimer: Thank you to #BBQWeek Sponsors Adam’s Extracts, Michigan Asparagus, and Not Ketchup for providing the prizes free of charge. These sponsors also provided bloggers with samples and product to use for creating #BBQWeek recipes. All opinions are my own. The #BBQWeek giveaway is open to U.S. residents, age 18 & up. There will be three winning entries that will be verified. The prize packages will be sent directly from the giveaway sponsors. You can also find this at Meal Plan Monday and Weekend Potluck! I love the mix of veggies you put in here – pretty much everything growing in my garden. 🙂 Look forward to trying it later this summer! Yes! I love all the veggies too! I hope you enjoy it! I like it warm as well as cold! Yum! That is my kind of pasta salad! I lvoe this idea! 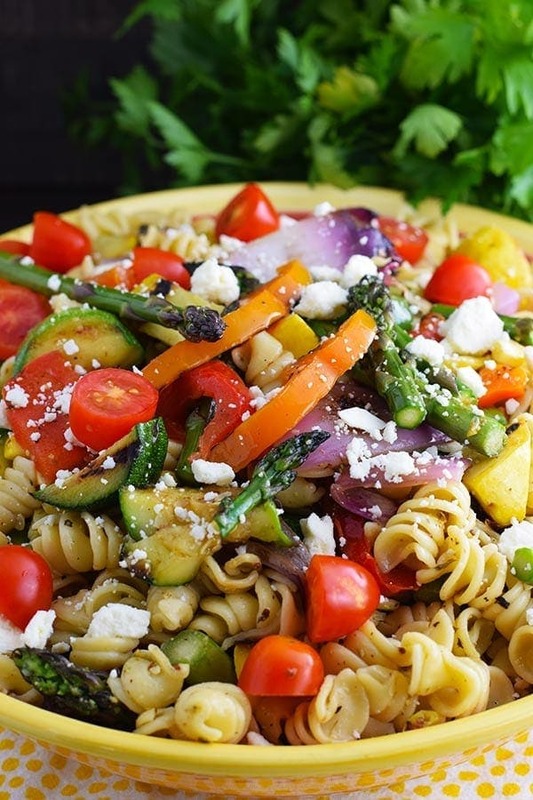 Grilled veggies in a pasta salad sounds yummy. Thank you! 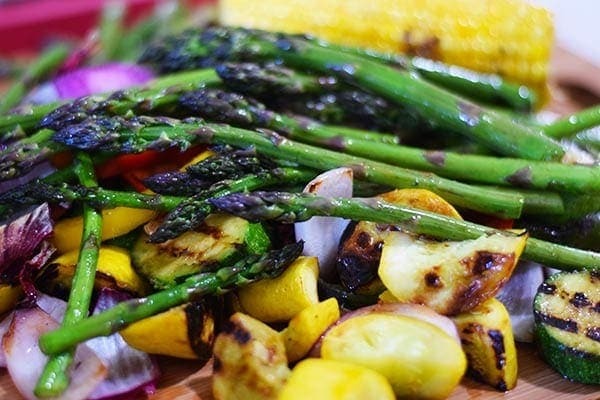 You can’t go wrong with grilled veggie in my opinion! So much flavor! I definitely do not grill enough vegetables, need to change that! This looks fantastic! Yes! They are so delicious grilled! I could eat pasta salad every day! SO many different types and such delicious flavors. I could too! Love all kinds of pasta salad! I know you’ll probably hear this over and over, but the colors in this are amazing! It makes it naturally inviting. My grown son will not eat zucchini or anything it is in. 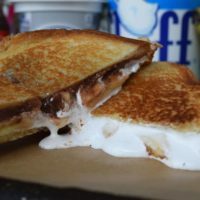 Can I use grilled eggplant in it’s place? Absolutely!! Eggplant would be fabulous too!